Gelete Burka won half marathon today in Valencia, Spain. 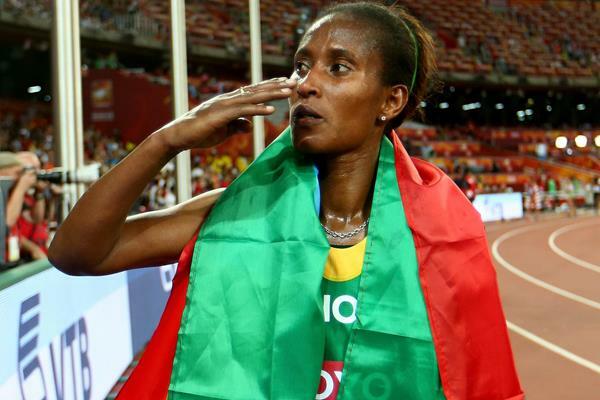 It took her 1:06:17 to cross the finishing line and the time is her personal best, according to a report by International Association of Athletics Federation (IAAF). She won 1500 meters indoor in the same city in 2008. The women’s half marathon today took place along with half marathon in the men’s category. Kenya’s Abraham Kiptum broke world record in the distance when he finished in 58:10 slashing about 5 seconds from Eritrea’s Zeresenay Tadesse’s record. Ethiopia’s Jemal Yimer and Abadi Haddis finished third.